The semester’s Music Night was held at the College on the evening of 29th August. Students and staff were entertained by eight different items during the evening, in the convivial atmosphere of the Dining Room which had been transformed to have a laid-back cabaret ambiance. College Music Coordinator, Sam Thompson, was very pleased with the event. Sam congratulated the performers on the standard of their items and thanked them for the effort they put into rehearsing them. 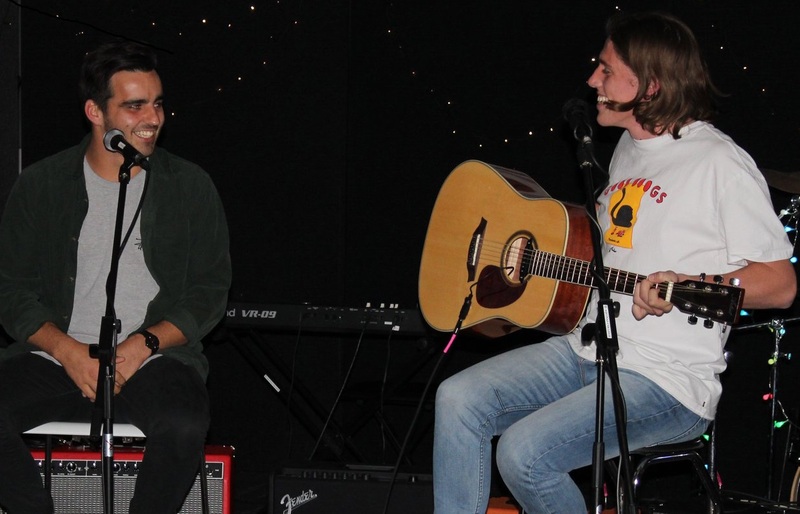 Pictured: Nick Walters (vocals) and Jack Armfield (guitar) on stage.